Within 2 short years Jamielisa has become a leading-edge Artist and DJ. Not only has she had the capacity to gain a permanent residency in London with her deep-house tropical vibe, she has had guest sets in prestigious venues such as ‘Whisky Mist’ ‘Dstrkt’ ‘XOYO’. However, her talents have also been able to catch the eye of international suitors. 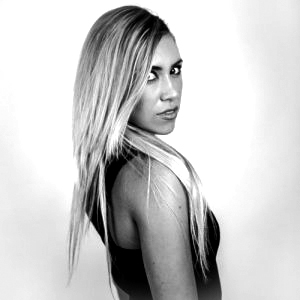 Expanding her worldwide appeal as a breakthrough musical visionary in the field of DJ’ing, Jamielisa has been flown worldwide to revolutionise music with guest appearances in the Illustrious “Cafe del Mar” Australia, “B2B” Mexico, “Cubo’s” Portugal to name a few. With a reputation that is growing all the time, Jamielisa has already been under the spotlight back in the UK this year already. Having played at numerous festivals such as “Drifters” on Osea Island and the “Summer Social” at Richmond Rugby Ground, Jamielisa’s eclectic and unique sound is clearly in very popular demand.